Gabrielle 'Coco' Chanel was, without doubt, the most influential designer of the 20th century. This book honours her influence by celebrating the key elements that defined and still define her style through inspired pairings of classic and contemporary photographs. Juxtaposing fashion plates from Chanel's own time with the most recent creations by Karl Lagerfeld, such as Cecil Beaton's portrait of Coco Chanel presented alongside one of Cate Blanchett by Lagerfeld himself, the resonance between archive and contemporary photographs becomes sharp, vibrant and telling. 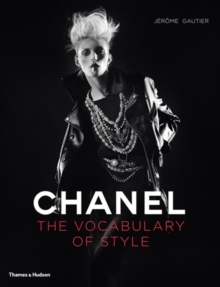 The vocabulary of Chanel's style - the little black dress, baroque inspirations, androgynous chic - is revealed in eleven chapters that compare original forms in the 1920s with the full range of their later expressions through every fashion era. Chanel's legendary fashion house continues to captivate a huge audience with an insatiable appetite for one of fashion's undisputed style perennials.